Scrivener is a wonderful program many writers use to set up and manage their books, screenplays, and research projects. Nearly every aspect of the program can be customizable, from the drafting settings to the export format. But with so many options, many authors find themselves overwhelmed. To that end, we’re posting a blog series on our favorite features of Scrivener. 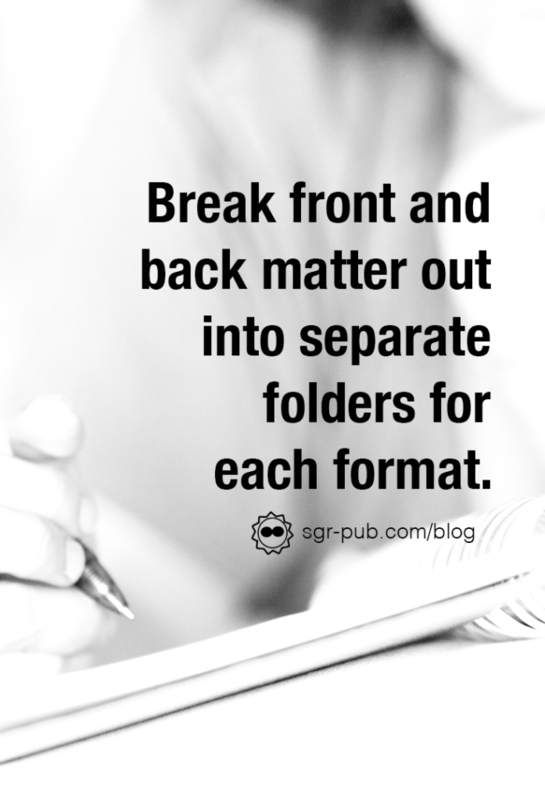 Today, we’re going to cover setting up front and back matter in Scrivener, including some tips and tricks to set you up for success. Every book format will have a different ISBN, and occasionally, different front matter, so we separate all of them out into their own folders. For our series, we have a main folder for each book, then separate them down into formats. When it’s time to compile, we select the applicable format (and applicable compile preset) and we’re good to go. Speaking of front matter, there’s a brand new checklist from the Independent Book Publishers Association that contains the basics of what every self-pub and indie-pub book should have (at a minimum). We use the <$Blank_page> shortcode to keep pages a verso or a recto (that is, on the left or right side). As with the front matter, we separate out eBook and physical copy back matter. 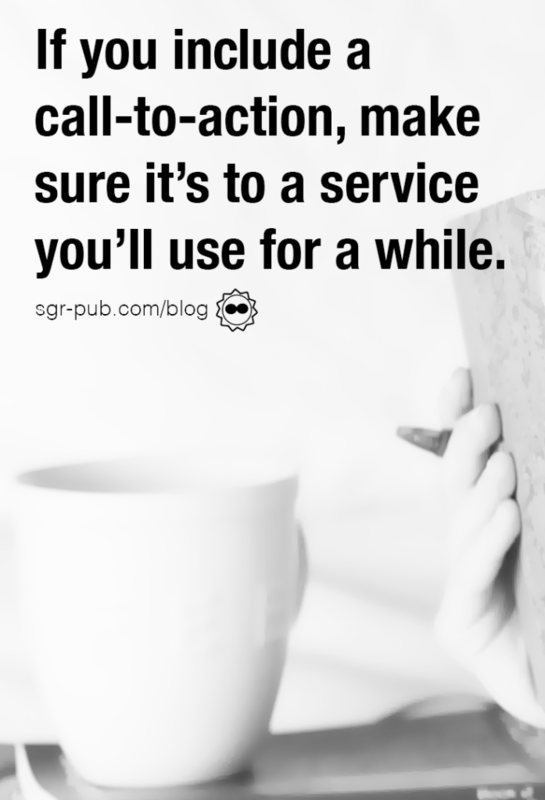 At the end of your eBook content, you should have a “call-to-action,” or something a reader can do to stay connected. Many authors opt to have a link to a newsletter sign up or Instafreebie. Whichever you chose, aim for the long-term. Otherwise, you’ll be updating your back matter every few weeks.